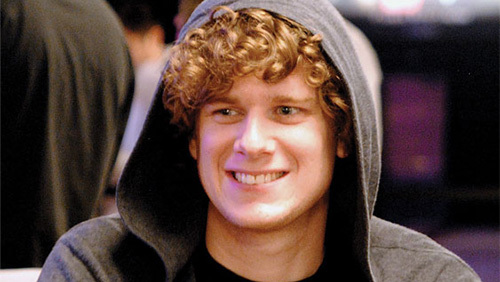 Almost three years ago, Sam Holden burst on to the poker scene after final tabling the 2011 WSOP Main Event and collecting a $782,115 payout. Since that time, he’s continued to experience success in the poker world, tallying $1.2 million in live tournament winnings and another $822k in online poker earnings. However, it seems that his time in the game will be drastically reduced as Holden announced his “semi-retirement” from poker. Through his 888poker blog, the 24-year-old writes that he’ll be moving on to the University of Kent in order to study philosophy. Holden has been doing some deep thinking lately and listening to debates and lectures while he plays online poker. All of this has led him to the realization that he wants to pursue a career in academia, specifically lecturing or research. If neither of these work out, he also wouldn’t mind working for a charity group that he supports. I’ve spent four incredible years playing poker full time and I never dreamt that my favourite card game could give me so many opportunities and experiences. Being able to travel the world, record television programmes, meet people from every corner of the globe and enjoy some of the best restaurants and clubs, all while earning money playing a game, is a privilege not lost on me, and a journey that has taught me a lot. More recently though, I have lost a lot of drive to play poker, especially in live tournaments. Holden also writes about why he got into poker in the first place; on obtaining his first university degree, he wasn’t quite sure what he wanted to do. Having already played some poker before, Holden dove into the game further, dreaming of the schedule flexibility and the money that grinding can offer. His plan was a success as he built up a “nest egg” and bought a house. But with so much financial security, he also felt himself losing the desire to play poker. Additionally, Holden cites being burnt out from five trips to Vegas in the last three years and dealing with the culture there. He would rather travel for his own pleasure, rather than to compete in the biggest poker tournaments. It is worth mentioning that Holden won’t be leaving poker completely behind as he’ll still play online when he feels like it. However, it definitely looks like poker will become his hobby while he’s pursuing a career in academia.